California Dryer Vent Cleaning Insurance. Dryer vent cleaning is quickly becoming a popular business. Keeping dryer vents cleaned and well maintained is vital, as it helps to prevent the risk of a fire. However, a lot of people just don't have the time or the know-how to properly clean their dryer vents. Or, they just don't want to be bothered. If you know how to properly clean dryer vents, you can start a professional (and pretty lucrative) dryer vent cleaning business. 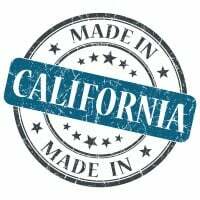 However, before you start marketing and offering your services to CA business and homeowners, you need to make sure that you have the right California dryer vent cleaning insurance policy. California dryer vent cleaning insurance protects your business from lawsuits with rates as low as $37/mo. Get a fast quote and your certificate of insurance now. To prevent financial disaster, it's important to make sure that you have the right California dryer vent cleaning insurance coverage for your professional dryer vent cleaning company. Insurance can offset the costs of legal fees, repairs, and anything else that might be associated with an incident. Commercial General Liability - This type of insurance policy is a standard for all business owners, including those who own and operate a CA dryer vent cleaning business. It protects you and your business from various liabilities, such as property damage, non-employee related injuries, and even damage to your reputation. For example, if you damage a customer's property while providing a service, a CA commercial general liability insurance policy will cover the cost of repairs, as well as any legal fees that may arise. Workers Compensation - Whether you have a small team or a large crew, if you employ anyone, you should carry CA workers compensation insurance. Workers comp will assist with the costs that are related to an employee injury, including medical bills, lost wages, retraining, and even death. Should an employee fall while cleaning out a dryer vent and sustain a broken leg, for example, workers comp insurance will help to cover the cost of the medical care that he or she requires, as well as wages that are lost while he or she is unable to work. There is more to dryer vent cleaning than removing lint from the dryer duct. For businesses (like laundry's, hotels etc.) lint can also build up inside the dryer cabinet and on and around wiring inside. When flammable lint becomes electrically charged, it can ignite and burst into flames with the high temperatures generated by dryers. For commercial use, the entire vent system as well as the dryer cabinet should ideally be cleaned by a CA professional every few months. There is also potential for larger losses in commercial locations due to larger machines and higher use. To find out exactly how much coverage you should have for your specific CA dryer vent cleaning business, speak with a reputable insurance broker that specializes in the above-mentioned policies. Together, you can discuss the particular details of your organization and figure out exactly how much insurance coverage you should have. Insurance will help to safeguard you and your professional CA dryer vent cleaning business from any issues that may arise and that you are deemed liable for. It can help to save you a tremendous amount of money, and can even prevent you from potentially losing your business. 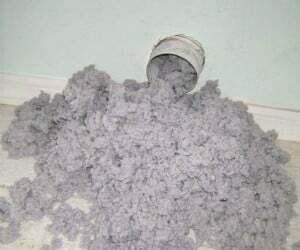 Request a free California Dryer Vent Cleaning Insurance quote in Alameda, Alhambra, Anaheim, Antioch, Apple Valley, Bakersfield, Baldwin Park, Bellflower, Berkeley, Buena Park, Burbank, Camarillo, Carlsbad, Carson, Chico, Chino Hills, Chino, Chula Vista, Citrus Heights, Clovis, Compton, Concord, Corona, Costa Mesa, Daly City, Davis, Downey, El Cajon, El Monte, Elk Grove, Escondido, Fairfield, Folsom, Fontana, Fremont, Fresno, Fullerton, Garden Grove, Glendale, Hawthorne, Hayward, Hemet, Hesperia, Huntington Beach, Indio, Inglewood, Irvine, Lake Forest, Lakewood, Lancaster, Livermore, Long Beach, Los Angeles, Lynwood, Manteca, Menifee, Merced, Milpitas, Mission Viejo, Modesto, Moreno Valley, Mountain View, Murrieta, Napa, Newport Beach, Norwalk, Oakland, Oceanside, Ontario, Orange, Oxnard, Palmdale, Palo Alto, Pasadena, Perris, Pleasanton, Pomona, Rancho Cordova, Rancho Cucamonga, Redding, Redlands, Redondo Beach, Redwood City, Rialto, Richmond, Riverside, Roseville, Sacramento, Salinas, San Bernardino, San Buenaventura, San Diego, San Francisco, San Jose, San Leandro, San Marcos, San Mateo, San Ramon, Santa Ana, Santa Barbara, Santa Clara, Santa Clarita, Santa Maria, Santa Monica, Santa Rosa, Simi Valley, South Gate, Stockton, Sunnyvale, Temecula, Thousand Oaks, Torrance, Tracy, Turlock, Tustin, Union City, Upland, Vacaville, Vallejo, Victorville, Visalia, Vista, Walnut Creek, West Covina, Westminster, Whittier, Yorba Linda, Yuba City and all other cities in CA - The Golden State.